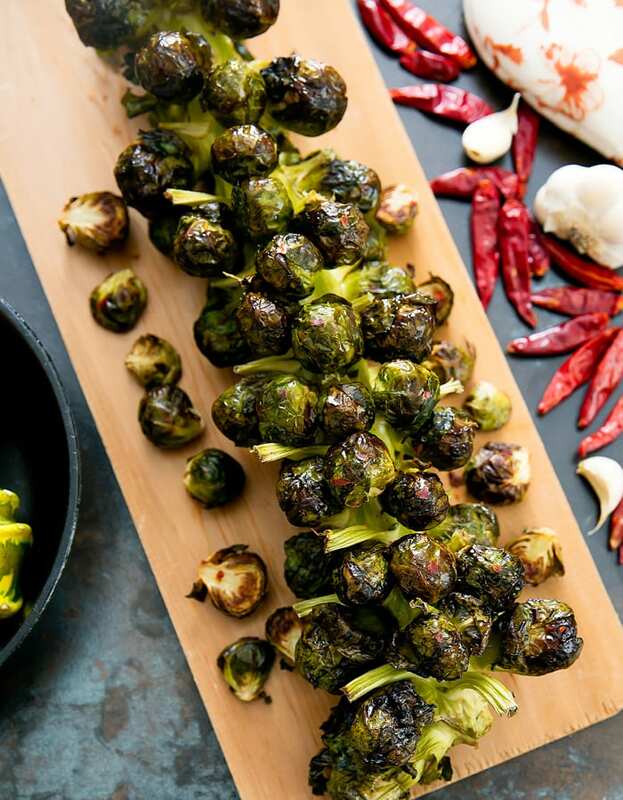 Brussels sprouts are brushed with spicy garlic oil and roasted directly on the stalk for a fun presentation. 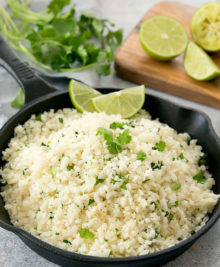 It is also an easy Thanksgiving side dish. 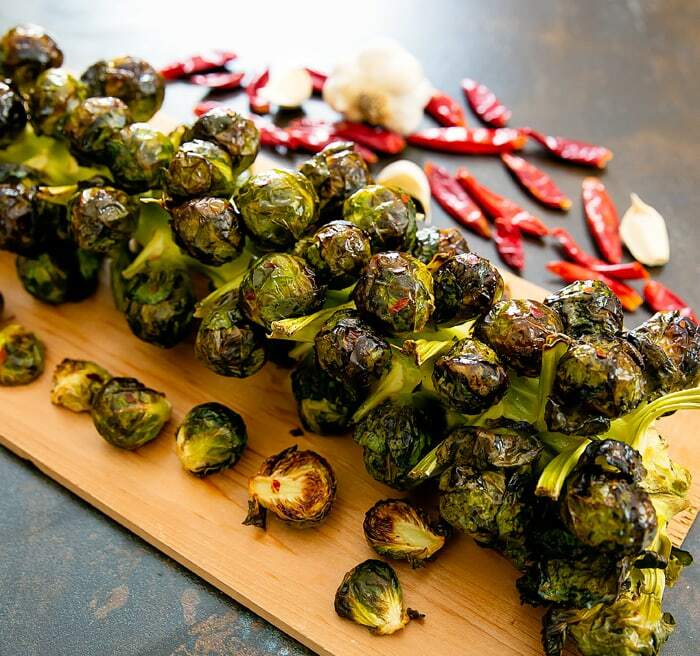 I picked up Brussel Spouts Stalks last weekend at Trader Joe’s. It’s become an annual tradition and I love finding new ways to cook them. 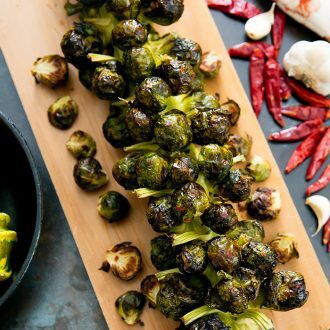 Cooking the Brussels Sprouts Stalk is easy. The sauce is a simple mix of olive oil, fresh garlic, garlic powder and cayenne pepper. After brushing the sauce over the sprouts, I sprinkled some salt and pepper flakes. And then it is ready to go in the oven. Cook for about 40 minutes until the sprouts are tender and then it’s ready to eat. To eat them, I simply use a knife to cut them off and serve. 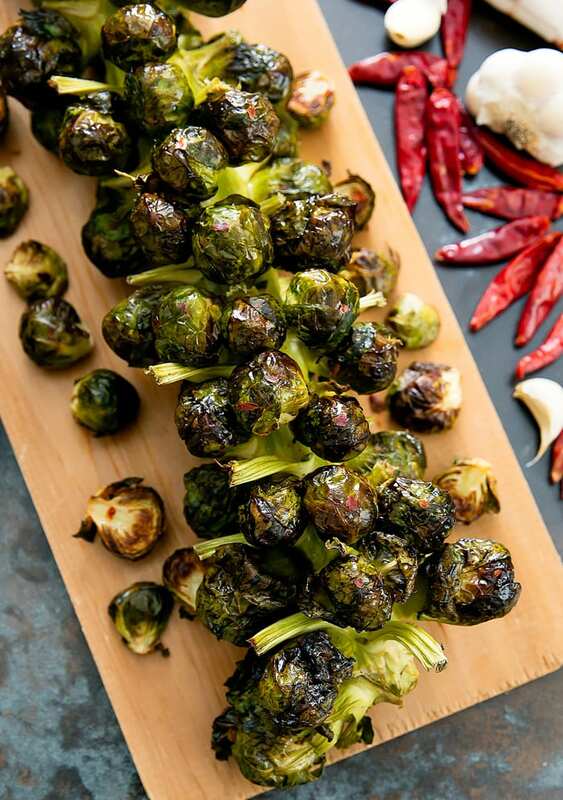 Brussels sprouts are roasted directly on the stalk for an easy side dish that makes an impressive presentation. Preheat oven to 375°F. Line a large baking sheet with foil. Wash and dry brussels sprouts stalk. In a small saucepan over low heat, add olive oil, garlic, garlic powder and cayenne pepper. Bring to a low simmer, stirring to mix everything. Cook for a few minutes until the garlic flavor is infused into the oil. Generously brush all the sprouts with garlic oil. Sprinkle lightly with salt and a few red pepper flakes if desired. Place into the oven and cook for 35-40 minutes or until sprouts are tender. 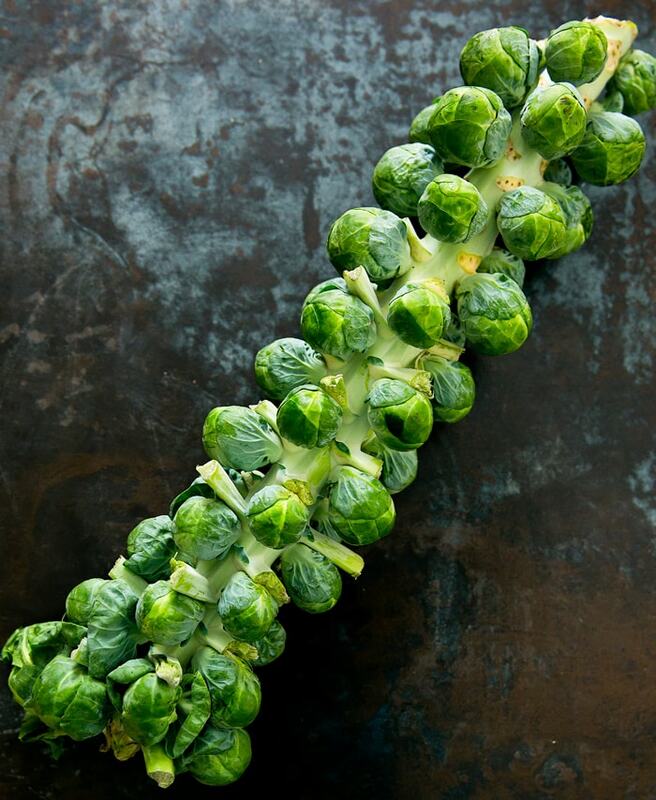 What do you do with the stalk after eating the sprouts?